The more the merrier. Bring them along with you in this six-passenger fun machine. 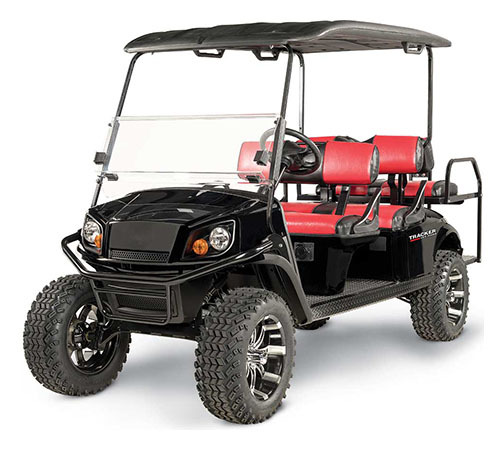 With its 13.5-hp fuel efficient EFI gas engine, rugged tires, and higher ground clearance, the TRACKER LX6 will take you all down the trail or across the campground in comfort and style. 23 in. all-terrain tires, 82 in. top, front brush guard, dashboard storage pockets, headlights, taillights and brake lights, low oil indicator, fuel gauge, canopy top, split windshield and strut kit.